Design West, San Jose, California—April 23, 2013—Today, IAR Systems® starts shipping the latest addition to its innovative Power Debugging technology. The I-scope™ probe extends the power optimization possibilities available in IAR Embedded Workbench®. Used together with IAR Systems’ in-circuit debugging probe I-jet™, I-scope lets developers optimize their applications for power consumption and possibly extend battery lifetime by offering them knowledge of the power consumed by individual modules and detect if design flaws in the code are causing unnecessary power consumption. Power Debugging is a methodology that provides developers with information about how the software implementation of an embedded system affects the system’s power consumption. The technology is incorporated in the C-SPY® Debugger included with IAR Embedded Workbench and is available when using I-jet. At any designated point on the target board, I-scope can measure current and voltage with 12-bit resolution at a sampling rate of up to 200 kHz. Through I-jet, the data is synchronized with the running program counter, and can be graphed in real time and analyzed using the C-SPY Debugger. The power analysis can for example be used to reveal the power consumption of individual functions and peripherals, identify I/O activities that cause current spikes, diagnose low power mode, investigate microcontroller frequency and core voltage power savings and find conflicting hardware setup. It can also be used to reduce radio frequency (RF) emissions by identifying and eliminating unwanted current spikes and to measure and compare battery consumption in various microcontroller sleep modes. I-scope is the latest addition to IAR Systems’ product portfolio of in-circuit debugging probes, targeted for simplified, seamless and more flexible development workflows. The investment in an extended technology platform is a response to the embedded industry’s ever-increasing needs for advanced and efficient debugging. The entire portfolio is delivered with access to IAR Systems’ renowned global support and product maintenance and is tightly integrated with the complete development tool suite IAR Embedded Workbench. 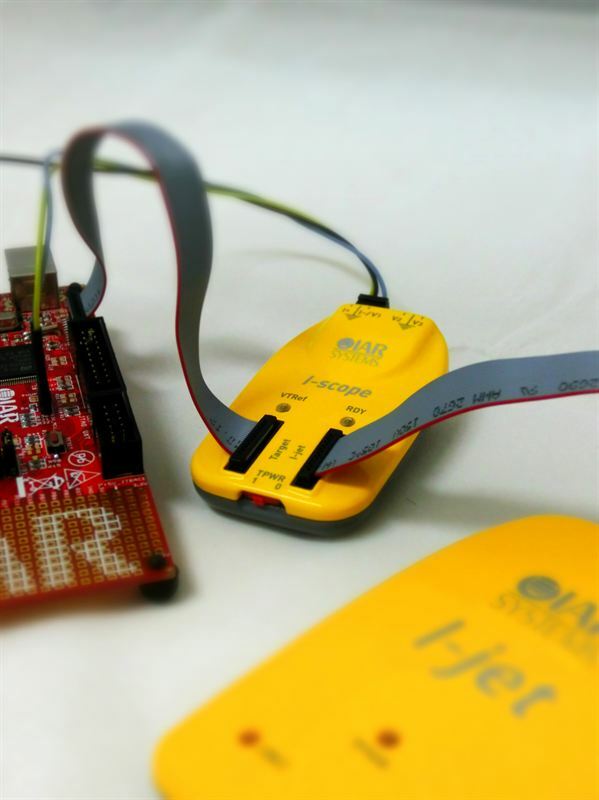 I-scope is designed to be used as an extension to I-jet, which supports microcontrollers based on all ARM cores. I-jet supports JTAG, Serial Wire Debug (SWD) and Serial Wire Viewer (SWV) using the UART and Manchester encoding modes, as well as Embedded Trace Buffer (ETB). I-scope is now available for purchase from IAR Systems’ offices and distributors, priced at EUR 250/USD 299. More information is available at www.iar.com/iscope.